This year’s event will focus on the power and flexibility of Final Cut Pro X in broadcast. Not only will this event answer all your questions about the new Final Cut Pro X, it will also introduce you to the wide world of Final Cut Pro X partners, experts and users experiences, all focused on complementing the creative broadcast process. A host of industry broadcast professionals will share their experiences of working with Final Cut Pro X, with 9 exciting user case studies from across the globe covering sports, news, documentaries, feature films and much more. We filmed the whole event so you wouldn't miss it. We hope you enjoy watching the videos as much as we did making them. As there are 19 videos we are releasing them in 4 parts and this is Part 1. 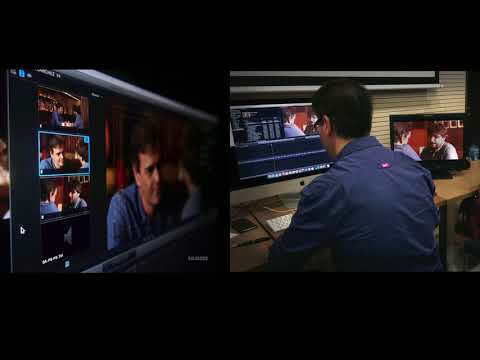 Alex demonstrates the comprehensive flexibility and speed Final Cut Pro X in Broadcast. He will show how you can post produce a complete project without leaving Final Cut Pro X.
Simon will demonstrate sophisticated Colour Grading techniques available in DaVinci Resolve 14 on Final Cut Pro X projects. In this session you'll learn how to start the collaboration process with your team or clients and how to bring their feedback right inside your project.